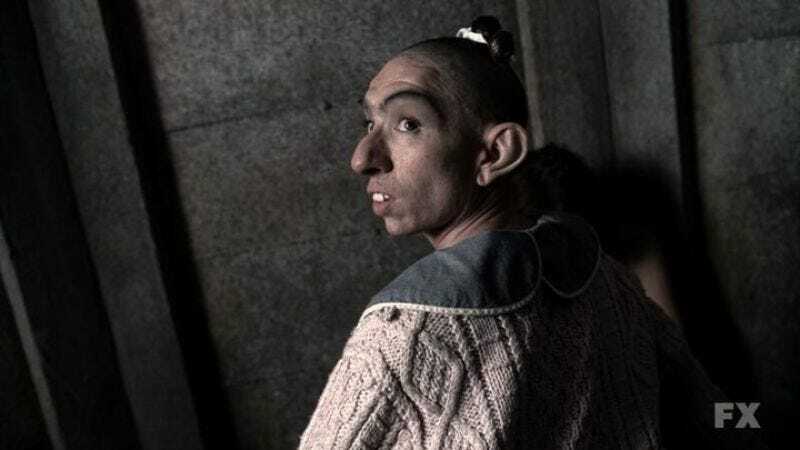 As Murphy explains, Pepper is part of the troupe managed by Jessica Lange’s character Elsa, saying, “What Elsa has done for 20 years is she goes around to hospitals and jails and rescues these ‘freak’ circus performers who are going to be shipped away to asylums and she signs the waivers and she becomes their guardians.” What Murphy does not explain is whether Pepper wouldn’t then be confused that her new guardian at Briarcliff, along with so many of its residents, resemble people she encountered years ago at the circus. This is because it’s American Horror Story, and it doesn’t matter. Maybe the entire series takes place inside Pepper’s head? Seriously, it doesn’t matter.